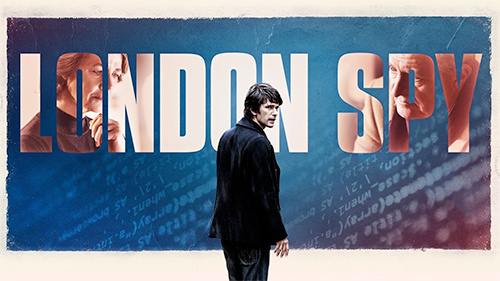 London Spy is the story of a gay man, searching for justice for the man he loves. It’s not about how difficult it is to be gay. It’s not about his struggle to get their union recognized or taken seriously once it is. Other than the fact that Ben Whishaw and Edward Holcroft play characters who are two men who are very clearly in love, and that their love is portrayed in exactly the same way we would expect if they were a straight couple, this is not a story about them being gay. This is an exciting, suspenseful, horrific, spine tingling, adventure/mystery/spy/thriller that just happens to have at its center two lovers who happen to be gay men. I’ve spent my whole life autocorrecting gender in the movies and television shows that I love. I loved the craptacular Day After Tomorrow because if I squinted my eyes just right and ignored a little bit of exposition, I got to watch a movie about Dennis Quaid battling the elements at the end of the world to rescue his beloved Jake Gyllenhaal. (Jake plays Dennis’ son so not really, but you get the idea.) To this day, the memory of their reunion embrace in the snow in the New York City Public Library still makes my heart race. The movies and TV are for the most part devoid of gay heroes and love affairs. So for a movie and TV lover like me, I’ve been starved for relatable content. London Spy was like finally being invited to a party I’d been watching through the window my whole life. But you don’t have to be gay to enjoy this amazing, mind-blowing, modern-espionage thriller. It’s beautifully scripted, acted, designed, shot and edited. And, best of all, if you missed it on BBC or BBCAmerica you’re in luck! It’s streaming on Amazon!